B Inspired provide physical development training, support tools and resources to help early years and key stage 1 teachers and early years practitioners deliver quality Physical Activities, Physical Development and PE Lessons for young children’s development and attainment. 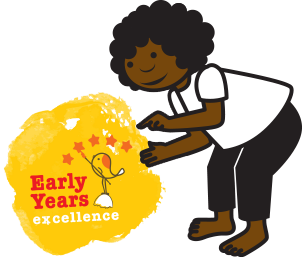 We have developed a series of high quality training courses for early years practitioners, foundation stage teachers, KS1 teachers, TA’s, SEN teachers and coaches. 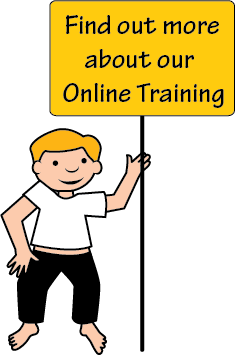 The training can be accessed through training days, inset days and online courses. You can now access the Inspired to Move Training online. The courses are divided into short modules to allow you to develop your knowledge and skills in your own time. 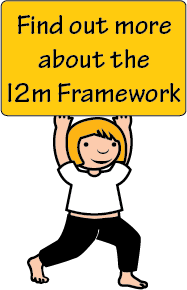 The Inspired to Move (I2m) Framework provides a journey for those who work with children from 3 to 11 years to develop effective and creative PE lessons as well as a holistic physical activity programme in school. Foundation Stage and Early Key Stage 1 – This section provides tools for those who work with children from the age of 3 to 7 years with a focus on early years. Key Stage 1 and Key Stage 2 – This section will help you take your children on a physical development journey, providing opportunities to practise and hone their physical skills and abilities. 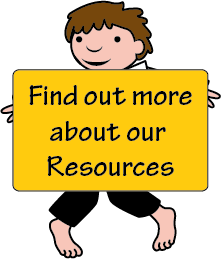 Resources have been developed in response to teachers and early years practitioners needs and are complimentary to the training we provide. The resources have been developed to be user-friendly, simple, enjoyable, engaging and educational. The Mini Moves cards will help you to support children’s skill development through active stories, games and activities. Mini Yo! is a compilations of simplified yoga moves that can be used to help children relax, stretch and develop their balance or in a more high impact manner through active stories. Fantastic Elastic is a resource that will help children to focus and engage in a variety of moves and also make simple moves more fun. All the information shared in the training, resources and consultancy has been brought together in a book “Learning through Movement and Active Play in the Early Years”, written by Tania Swift, Director of B Inspired and published by Jessica Kingsley Publishers. The founder of B Inspired, Tania Swift, has a wealth of knowledge and experience in Early Years, supporting and training practitioners, developing programmes and writing for well-known publications such as Teach Early Years and afPE’s PE Matters and publishing a book. 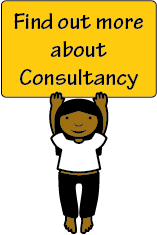 We are always keen to work with partners to develop practice in the Early Years.